Star Wars fans (including yours truly) are anxiously awaiting the opening of the Star Wars: Galaxy’s Edge lands in both Disneyland and Walt Disney World. 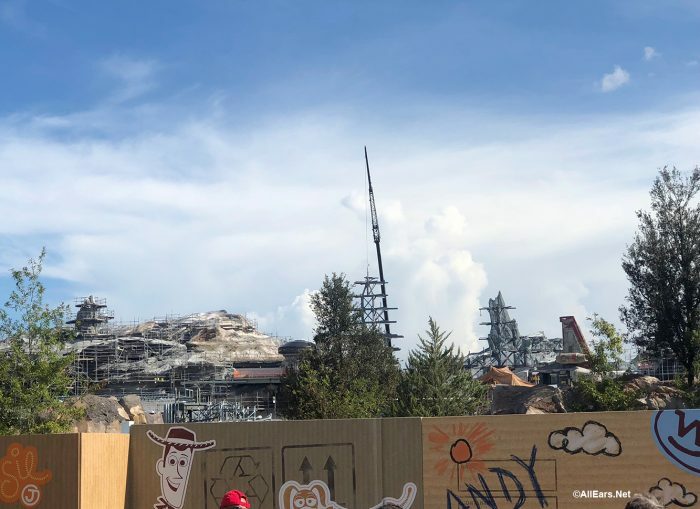 We have gotten little in the way of information beyond opening date ranges, concept models, and what we can see when peeking over the construction walls. Now, thanks to an extra on the Blu-Ray of Solo: A Star Wars Story sold at Target stores, we have some new information on the ride in which we’ll be able to pilot the Millennium Falcon! The Millennium Falcon ride will have us completing a mission assigned to us by Hondo Ohnaka. We will fly the Millennium Falcon with access to more than 200 controls while we fight Imperial TIE Fighters. How we do on that mission will affect things that happen to us in other areas of Galaxy’s Edge! If we do well on the ride and achieve the mission we will get positive responses, like some extra Galactic Credits in our account. However, if we crash the ship or fail at our mission we might get warnings from cast members telling us we’re on a bounty hunter’s list! This is a first for Disney — to tie the outcomes of a ride into other experiences around the parks. It is unknown at this time how those results will be connected to each guest, but some speculate that MagicBand technology currently in use at Disney World could be used. However, Disneyland does not have MagicBands — at least, not yet. We know from previous announcements that Disney plans to make Galaxy’s Edge its most immersive land yet. From this preview we have no doubt at all about that. 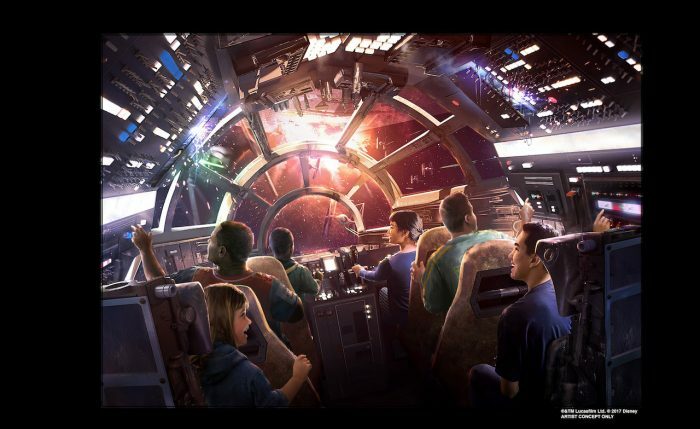 On top of that, Disney World will also have a 100-percent immersive Star Wars Resort, which will put you into the Star Wars story from the moment you step in. 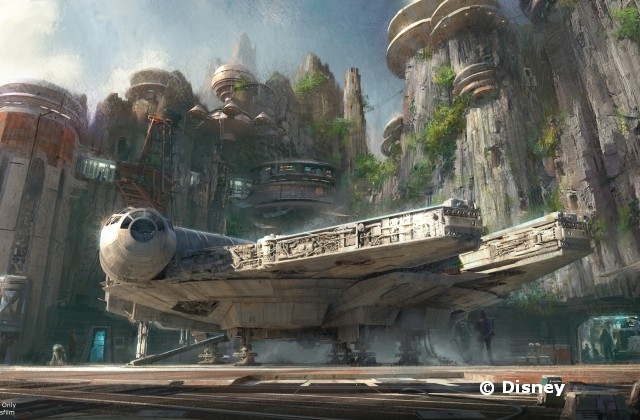 Star Wars Galaxy’s Edge opens in Disneyland Park next summer, with Disney World’s opening in Hollywood Studios late next fall. Have you seen this video “fly-over” of the Galaxy’s Edge model? It’s taken from a guest’s eye-level perspective. How excited are you for this new land? Let me know if you’re a Star Wars geek like me in the comments below! Not very excited about more simulator rides. Would love to see star tours relocated to the new land.